I graduated from Brighton College in 1994 with a degree in Fine Art. Since then, I have worked as a painter and maker. I currently work in Camberwell, London, within a community of artists and makers at Vanguard Court Studios. I am originally from Suffolk, South East England. What is your statement about being an artist-maker? I am passionate about working with wood, as it is a natural material that can be sourced ethically and sustainably. I work with traditional tools and methods to minimize the impact of my making. I love to work with green wood (fresh living wood) because of its malleability. In the process of seasoning, the wood can twist and move, creating wonderful natural surprises and allows great freedom in my making. 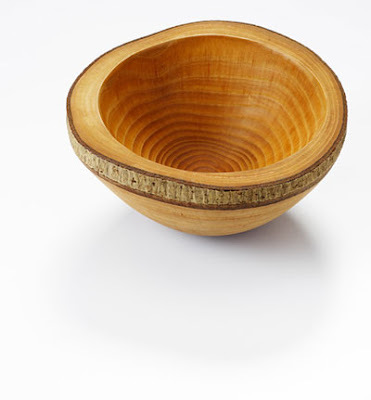 I love the fact that designs evolve from the grain itself and each piece develops to exhibit the natural beauty of wood. 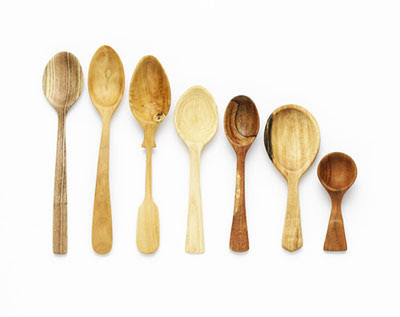 What drew you to the world of spoons? 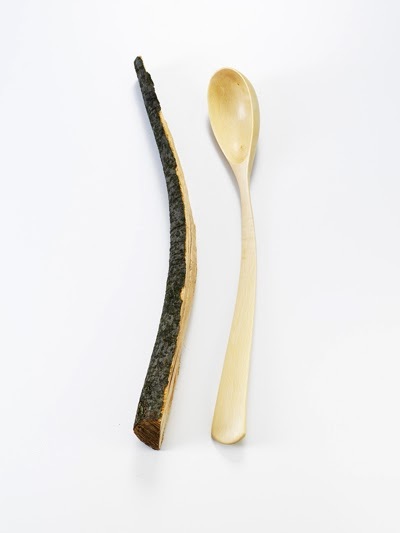 The spoon is an ancient tool that is recognised and has its place within every culture. It is a humble object that serves us every day. It is a symbol of nourishment and hope. do you use to work on your ideas and make them grow? Wood is pure, formed by nature and is a versatile and varied material offering limitless and unique making opportunities. My work and designs evolve instinctively and spontaneously. I receive much of my material from tree surgeons working in the parks and gardens of London. Friends also give me great pieces of wood from all over the world. I love to walk and spend time in the natural environment and collect timber from all over the UK. I also work with combinations of precious metals, ceramics and stone. The spoons are labour intensive, and I regularly work a seven-day week. I try to work with focus and concentration, in order to optimise my working day. Rest for both the physical body and the creative mind is vital for fresh and innovative work. What is the most rewarding part of making your objects? I enjoy all aspects of the making process. Ultimately though, it is the pleasure of seeing and handling the finished object that I find most rewarding. It is also a joy to see others interact with the work and hear their reactions. When the work is finished, the object begins its life. I have always enjoyed my work. Though recognition can take time. It is the privilege of making objects of art and craft that enables me to overcome the challenges. I have always made the most of opportunities and I direct 100% of effort into my work. I draw and paint and experiment with new materials and ideas. I keep my eyes and ears open. With regards to ‘staying creative,’ I don’t think it is something I could turn off. Be patient and conscious. Take time, learn from others, and share what you have learned. Try not to be disappointed with early mistakes. Quite often, mistakes can lead you to new beginnings. Respect the material and the tools. Your eyes and hands are very precious, so take care to work safely. Be inspired by others, but try not to copy. I intend to pursue an organic approach to making. Allowing materials to suggest both form and narrative. I look to explore themes of germination and decay, creating objects that appear not to have been made by hand, more that they have grown or been formed by processes of natural erosion. I am keen to expand my use of materials to bring further colours, textures, and qualities to my work. In 2010, my work will be on exhibition in London, Hamburg, Antwerp, Tokyo and Seoul (South Korea). Some of these shows are collaborative projects with other makers. I am also making bespoke ranges of work for restaurants, stores, and retail outlets. My work will also be featured in a number of books, publications, and online magazines. Furthermore, I am running workshops teaching green woodworking at my London studio. Typeface of quotation is Futura designed by Paul Renner in 1927.